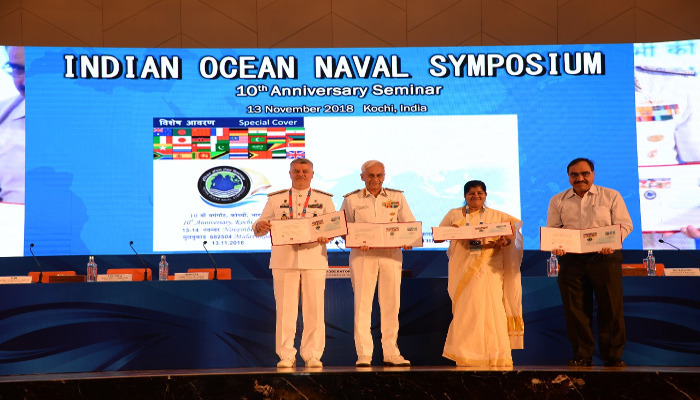 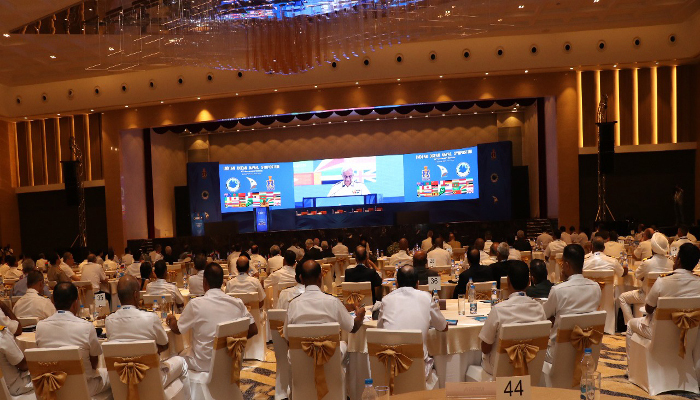 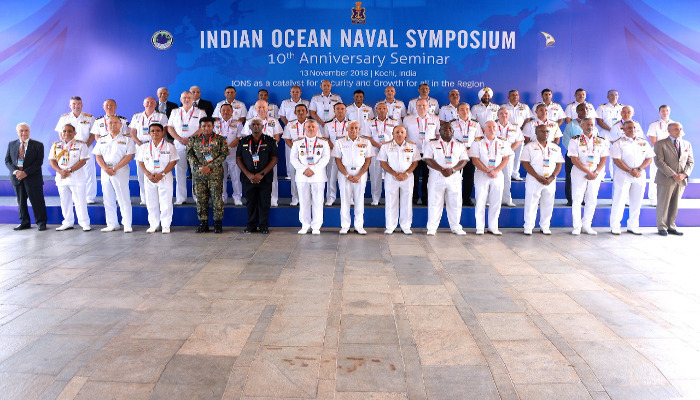 The 10th anniversary celebrations of the Indian Ocean Naval Symposium (IONS) commenced with release of the ‘Special Cover’ by the Chief of Naval Staff, Admiral Sunil Lanba on 13 November 2018 at Kochi in the presence of Fisheries, Harbour Engineering and Cashew Industries Minister of Kerala, Smt Mercy Kutty Amma, the Post Master General Northern Region, Shri Jithendra Gupta and the Commander of Islamic Republic of Iran Navy Rear Admiral Hossein Khanzadi. 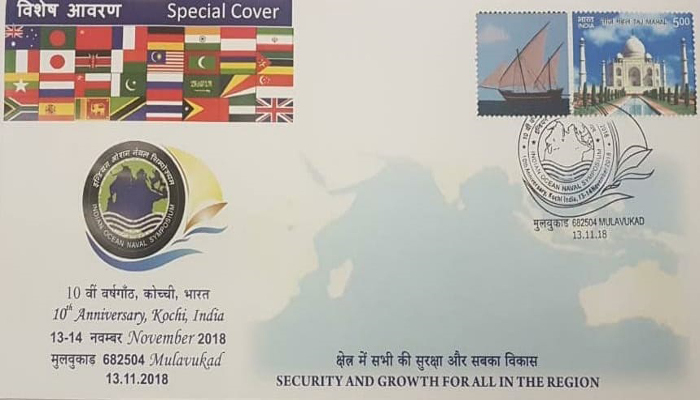 The commemorative Special Cover of IONS 10th Anniversary celebrations depicts a map of the Indian Ocean and littoral countries of the IOR, signifying the geopolitical importance of the region. 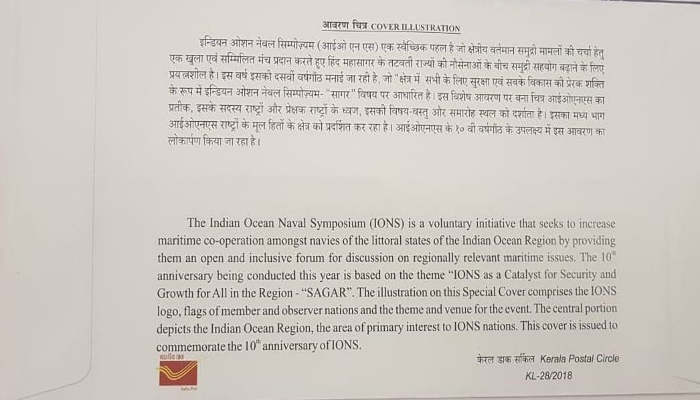 It also has a sail-boat that symbolises the importance of ancient trade routes used by the natives of the region to establish trade and socio-cultural links with the countries in the region. 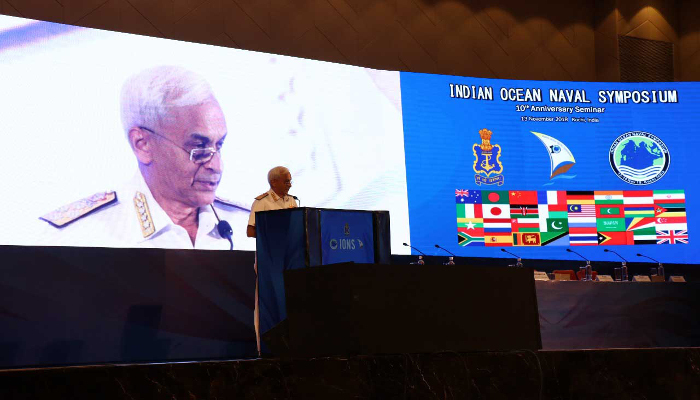 The national flags of member nations form an integral part of the cover and symbolise the support and cooperation of these countries to the common cause of maritime security, goodwill and growth in the region.